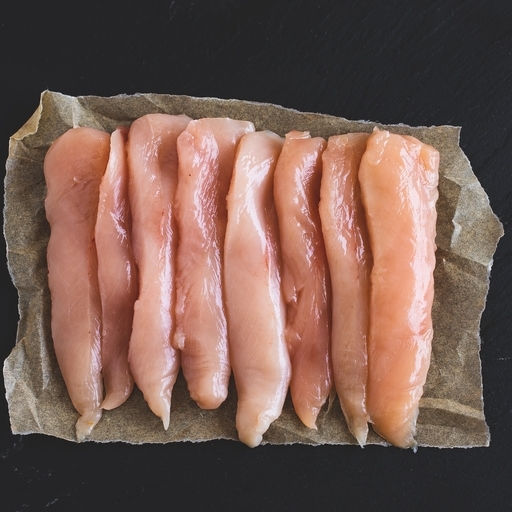 Fresh, organic chicken breast mini fillets. Short of raising chickens in your garden yourself, it would be hard to better these birds for flavour and welfare. Lean, tender and endlessly versatile, these mini fillets absorb marinades quickly. We love them cooked with lots of veg in stir-fries for a quick, healthy dinner. Heat 1 tbsp oil in a frying pan over a medium to high heat. Season the chicken and fry for 4 mins. Turn and cook for a further 3-4 mins until thoroughly cooked and no pink remains. To BBQ: cook over gentle BBQ coals for 4-5 mins until thoroughly cooked.